As their Year of the Groove approaches the last few months, Worldwide Groove Corporation have stayed true to their commitment of putting out one new music release a month for a year starting in July 2014. 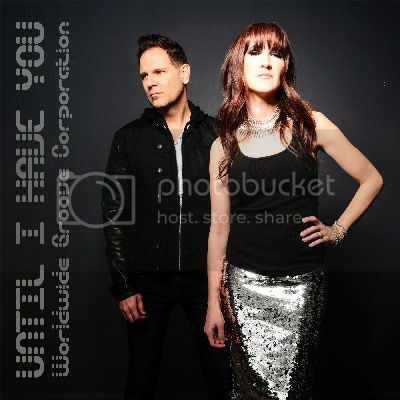 Their April release, "Until I Have You", is a ballad of everlasting love and devotion to the divine, featuring seedy guitars and dramatic horn hits over a swaggering mid-tempo groove. Topped off with Ellen Tift's emotional vocal, this track is packed with desperation, and according to many, a perfect song for the next James Bond film. Keeping up with these consecutive monthly releases is no small feat considering that all of this is just a side project to the mainstay of what Worldwide Groove Corporation do for their clients. Ellen Tift and Kurt Goebel formed Worldwide Groove Corporation in 2001 as a music production company, composing and producing music for advertising, doing remixes, string arranging, and artist development. They didn't do their own artist venture until 2005 when they put out a partial release of what was later completed in 2007, the "Chillodesiac Lounge" album featuring their electronic reconstructions of famous jazz standards. This release landed them on terrestrial and internet radio, international downtempo compilations, retail playlists, and store shelves across the US. Following the release of that project, WGC stayed busy with their music production work for clients while slowly amassing a collection of songs slated for their own future album, but time passed as other deadlines kept pushing back their available time to work on their own artist releases. Unsatisfied with their slow pace, in a bold move, WGC made the decision to commit to putting out one new music release a month for a year, calling it "The Year of the Groove". "Deciding to put out one new release a month for a year solved a lot of our problems," says Ellen Tift, songwriter, producer, and singer for WGC. "It gave us a series of deadlines we would need to meet in order to stay on track, so we absolutely had to finish the songs, and it also allowed us to put out music that wasn't cohesive enough to be on one album." Since WGC do work for other projects besides their own, the music they create covers a broader spectrum than what is typically released by bands. "Sometimes we need to produce a track that is electro-pop, and sometimes we write a song that is epic electronic chillout music, so this series of releases has allowed us to get all of those songs through the digital pipeline in a way that makes sense," says Tift. However, as WGC began this year long endeavor, they quickly became aware of how much they had undertaken on top of their normal work load. "Our other work for our clients hasn't slowed down, and in fact, we've had to take on more work because putting out these monthly releases is expensive and it's all out of our pocket," says Kurt Goebel, programmer and producer for WGC. "I think we will both be glad to take a break when we put out our last Year of the Groove release in June." Worldwide Groove Corporation do plan to release a physical CD containing some of their Year of the Groove songs and some new material at a future date. To stay informed or contact WGC, go to their website at http://www.worldwidegroovecorp.com and join the mailing list.